If you are planning on going on a day trip or spending the weekend near Quito, then a visit to the province of Imbabura located North is one of my suggestions. 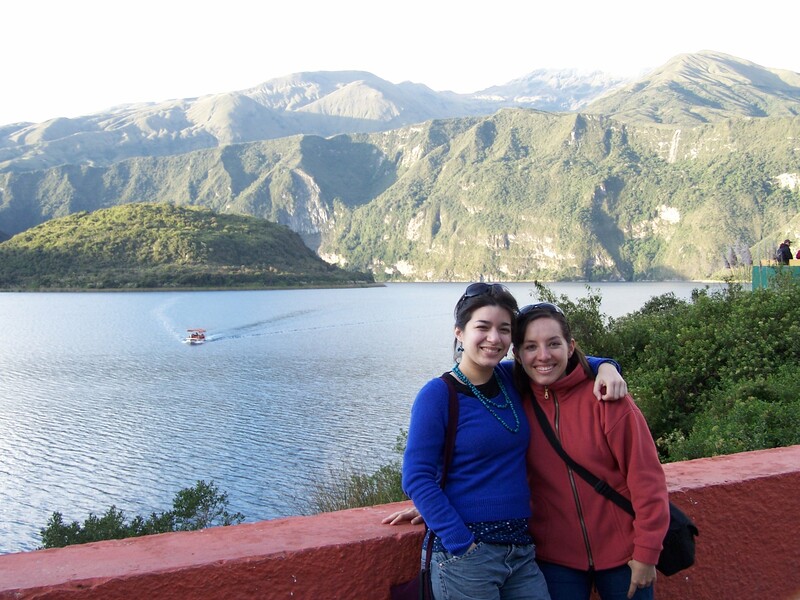 You can either make this a day trip from Quito, or start from Otavalo or Ibarra. There are plenty lovely cozy haciendas, hostels and hotels to chose from at any of these cities, and you can find some great options of places to stay in Quito here. From Quito the trip to Otavalo will take approximately 2 hours. The bus departs from the bus station in Carcelen and will bring you to the city center or it will stop along the highway, 10 minutes walking distance from the city. Once in Otavalo, you can book a night´s stay in Otavalo to really experience in depth this indigenous culture and otherwise, if you want to stay in a bigger city, here are some great options of places to stay in the charming city of Ibarra. If you do want to visit all these places it is best to have a car or if you have the budget, then you can reach some places by taxi, which is still pretty low budget as taxi fares are rather inexpensive. The town is located 3km north of Otavalo and you can hire a taxi for less than 4 USD to take you there. I have written more about Peguche, you can read more about it here. Book ahead your tour to Otavalo and Imbabura, including a hike to Peguche, a boat ride to San Pablo or Cuicocha lake and more, here. Hence, avoid the stress and the time spent on logistics and planning. 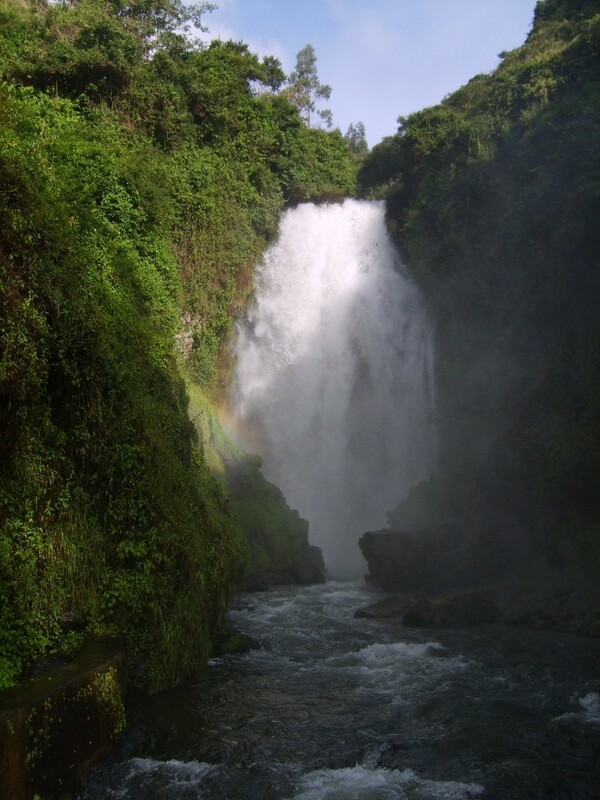 This is perhaps the top attraction for most tourists coming to Imbabura and to Ecuador. For me, every trip to this city nestled in the heart of the Andes, 2 hours north of Quito, provides me with a myriad of opportunities to take some pictures of the stunning colorful landscapes of the people, traditions and nature along the Andes cordillera. Booking a night´s stay in Otavalo will allow you to experience more in depth this city and its culture. 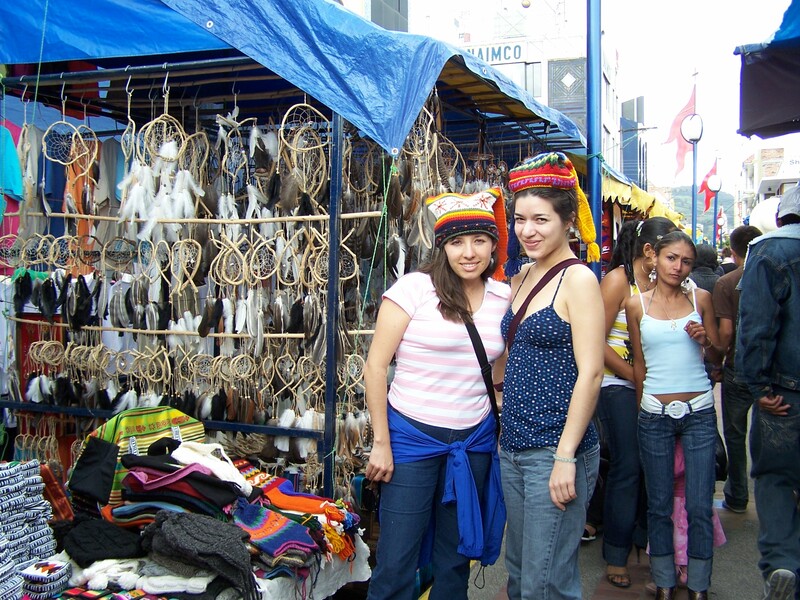 One of the main attractions once in the city, is the open air market in Otavalo (Saturday is the most popular day) is a must on a trip to Ecuador in general! The Otavalo culture is worldwide known for the production of excellent textiles and ethnic crafts, ability for business and a well-preserved culture. As you can see from the pictures, the Otavalos make their own textiles, they are very skilled not only on weaving, but also on producing and then really good at selling these products not only locally but worldwide. 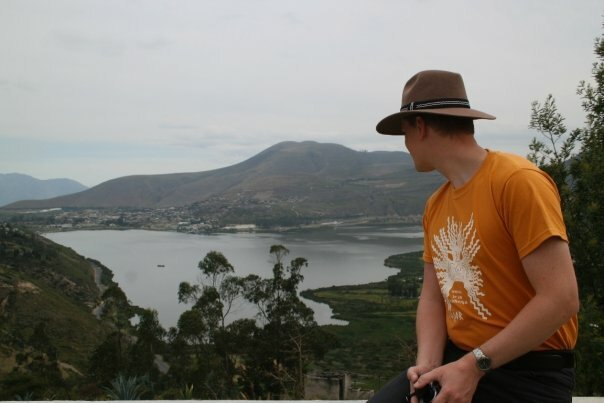 I have written more about Otavalo, you can read about it here. This nice artisan city is worldwide known for their high quality production of leather goods and handicrafts. So, if you want to enter a store where everything you see from side to side are items in leather, in different sizes and shapes, of high quality, then this is the place for you! 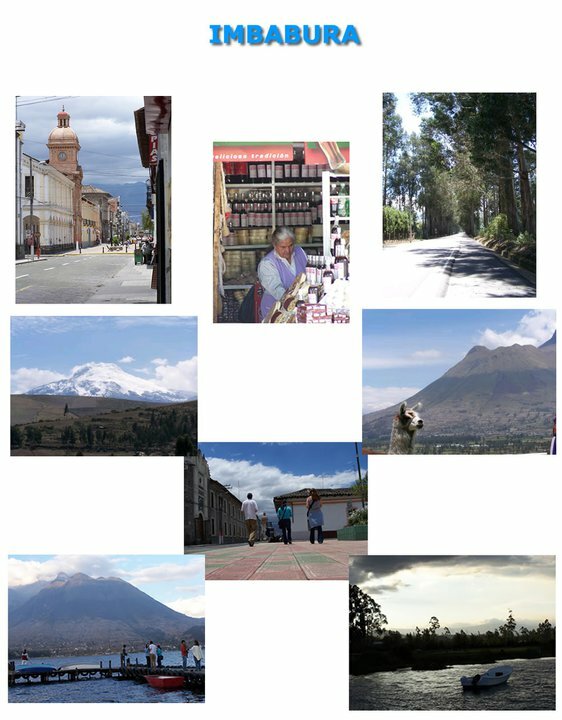 The town is located 15km northwest of Otavalo which makes it easy to get there by bus. There are buses leaving every 10 minutes from the bus terminal in Otavalo. The name Cuicocha comes from pre-inca language, and the name comes from Tsui cocha which means lagoon of the gods. This deep volcanic crater lake is located 14 km northwest of Otavalo. This place is perfect for the vistas, if you have the time you can take a boat tour to enjoy some of the wildlife of the small islands inside or a nice meal at the restaurant. You need a car or to hire a taxi in order to get here. This is a small town that is famous for leather goods, if you are searching for purses, boots or other accessories with good quality and at relatively good prices, then this is the place for you! You need a car or to hire a taxi in order to get here. 6.- San Antonio de Ibarra is all about wood and art. 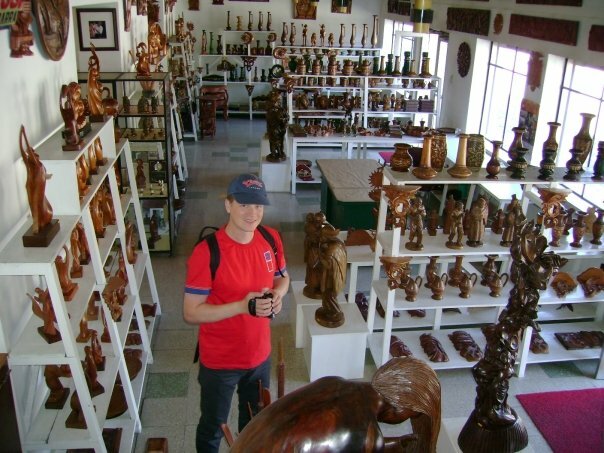 The town is located 6km west of the city of Ibarra and is best known for the excellent wood carvers. You can get there by bus or by hiring a taxi from Ibarra. Once you arrive you will find a small town, but don´t let that fool you. There are many shops and galleries whith plenty of styles and different designs to choose from. You need a car or to hire a taxi in order to get here. This lovely small city in the Northern part of the highlands region in Ecuador, is also known as the white city. Why the nickname, you may wonder? Well, it is due to all the colonial white -washed houses that you can easily spot from the main highway just before you start to enter the city center. Ibarra has a population of less than 200.000 inhabitants that for Ecuadorian standards, is a rather small city. Here is a short video that shows the wide range of opportunities you have to admire and enjoy the nature and gorgeous landscapes that this Northern town located in the Andes cordiller of Ecuador, has to offer. The name Yahuarcocha comes from pre-inca language, it is written Yawarkucha, which is divided in yawar which means blood, and kucha which means lake, so the name is “blood lake”. This lake is located 3km from Ibarra a 3 km de Ibarra, and you can get there walking, taking a local bus or a taxi. 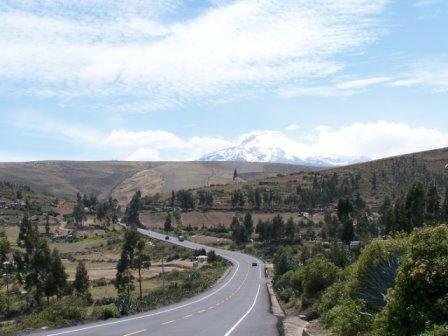 On your way from Quito To Imbabura, you will be able to admire the stunning landscape of the Andes, such as Lake San Pablo in the video below and of the Cayambe mountain. 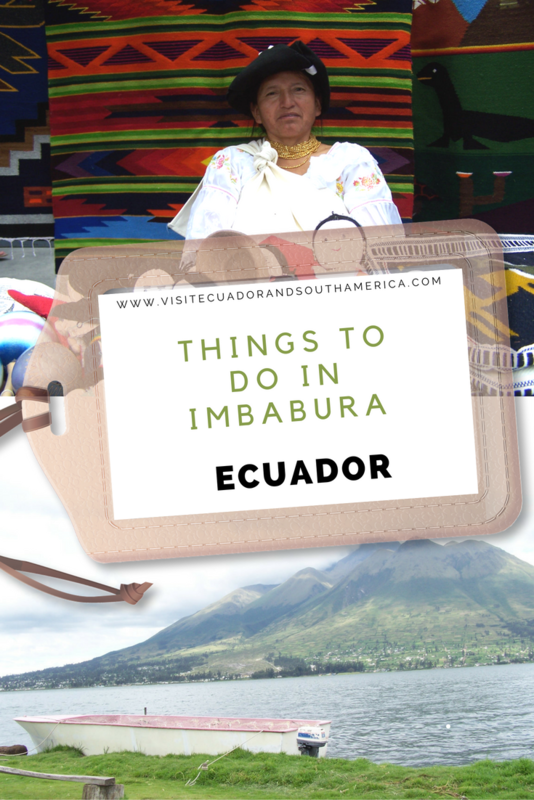 There are many other activities and places for you to visit in Imbabura! Planning a trip there soon? Comment below or send me an email, I can help you with more tips.